When you are in need of bail bonds in Alabama, you will need to seek out a bail bond agency to help fulfill your request. Of course, you can open the phonebook and pick the first bail bond agency you see, but this is not always a wise decision. Before you begin working with a Montgomery, Alabama bail bonds agency, consider asking the following questions to ensure you choose the right agency. It is important that any bail bond company you work with is licensed. Most states, including Alabama, require licensing, which involves meeting different stipulations and requirements to become licensed. When you are searching for affordable bail bonds, you want to make sure that you seek out the best price. Don’t be afraid to ask your local bondsman how much he charges. It is essential that you know how fast the process is. For instance, ask your bail bondsman from the time you call, how long it will take to get your loved one released from jail. 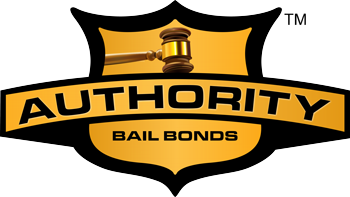 When you or your loved one is arrested, you need to know that a Montgomery bail bonds agency is available to help you. Arrests do not only happen from 9:00am to 5:00pm, so you should find out what the prospective bondsman’s availability is. Most agencies offer 24 hour services. What types of collateral do you accept? Not everyone has enough cash on hand to pay for a bail bond, so it is essential that you ask the bail bondsman what forms of payment and collateral he accepts. Before you work with a bail bond agency in Alabama, make sure that you screen them. You want to feel comfortable with the agency you choose. I like your tip on checking how long it will take to get your loved one released from the time you call once you contact a bail bondsman. I would imagine that the speed with which they are released would be a big part in choosing which bail bondsman you choose. My sister in law’s son got into some problems recently so maybe they should keep this in mind when contacting a bail bondsman. Thank you for all this helpful information about bail bondsmen. I never knew that you should look at how fast their process is, and how long it will take you to be released. It would be nice to get you out as soon as possible, and then be able to pay them.